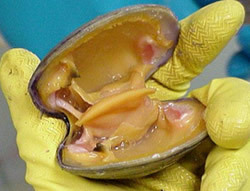 Stony Brook University’s School of Marine Sciences has received a $326,963 federal grant to conduct research into Quahog Parasite Unknown, also known as QPX, which dramatically impacted Long Island’s clam harvest in the 2000s. Congressman Lee Zeldin, a member of the House Shellfish Caucus, announced Sept. 28 that he had helped secure the grant from the United States Department of Agriculture’s National Institute of Food and Agriculture. In 1987, the New York State Department of Environmental Conservation (DEC) began what’s known as a “clam relay” from the bacteria-contaminated waters of of Raritan Bay between Staten Island and New Jersey. In that program, commercial clammers transported clams from Raritan Bay to certified waters on eastern Long Island, where the shellfish are left for at least 21 days to purge themselves of pathogens. By 2000, about 45 percent of New York’s clam harvest came from this program, but in 2002, the DEC began receiving reports of dead and dying clams in Raritan Bay. 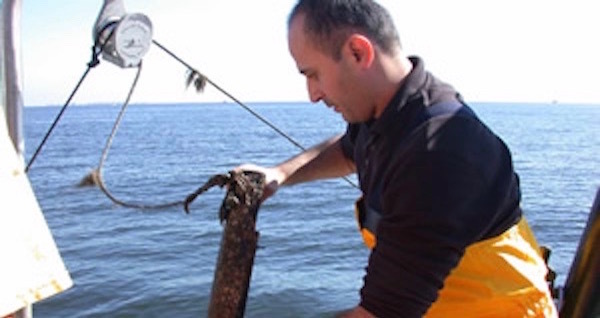 Dr. Bassem Allam of SoMAS’s Marine Animal Disease Laboratory was called in to diagnose and work on a solution to the die-off, while the relay program was cancelled in 2004 and 2005, though it has partially reopened as levels of QXP have declined in the bay. Dr. Allam’s team discovered that Quahog Parasite, known as QXP, a parasite first discovered in Canada in the 1950s, was responsible. QXP does not infect people, but it does kill the clams that people eat. Dr. Allam’s team has since been working on molecular investigations of how clams interact with the QXP parisite. Dr. Allam and co-worker Jackie Collier began their work with Quantitative Real-Time Polymerase Chain Reaction, also known as Quantitative PCR, which detects low concentrations of the parasite, and have been working on genetic sequencing of the parasite and clam messenger RNA molecules in both clams that fall prey to the parasite and clams that seem to have developed an immunity to it. Their team has also been looking into environmental factors that are favored by the parasite. More information on Dr. Allam’s team’s work on QXP is online here.